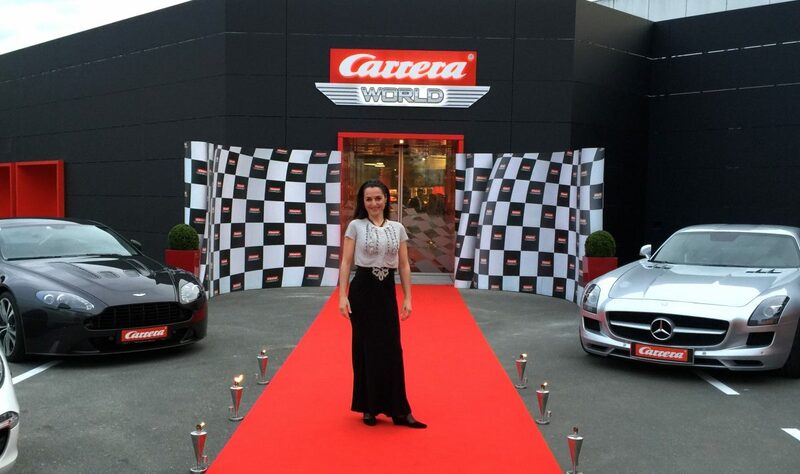 Spectacular opening of the Carrera World 2016: Every Carrera car racetrack is revealed with a Sand art show. 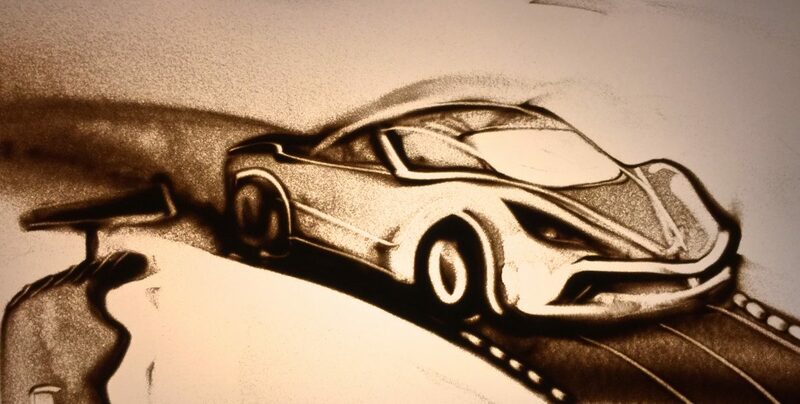 With a total of four stories, each with the own screen, my sand art describes in stages the four elements and the Carrera race track that symbolizes the 5th element. 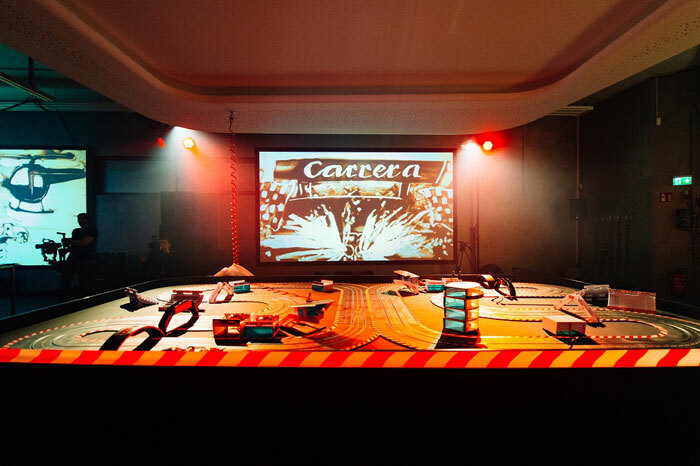 The element earth represented the Carrera world, the element water stood for the Carrera RC helicopter, water for agility and of course the Carerra RC boat, fire for the motorsport, the fith element “Carerra” combines all of them in the new Carerra world.